Today's share is another slider card. 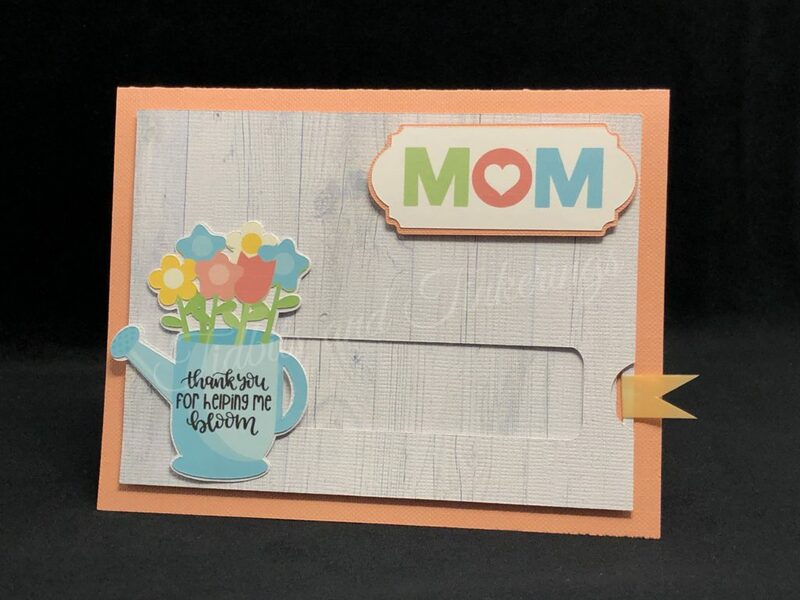 This one is themed for Mother's Day and has a pull out slider that reveals a message hidden underneath. 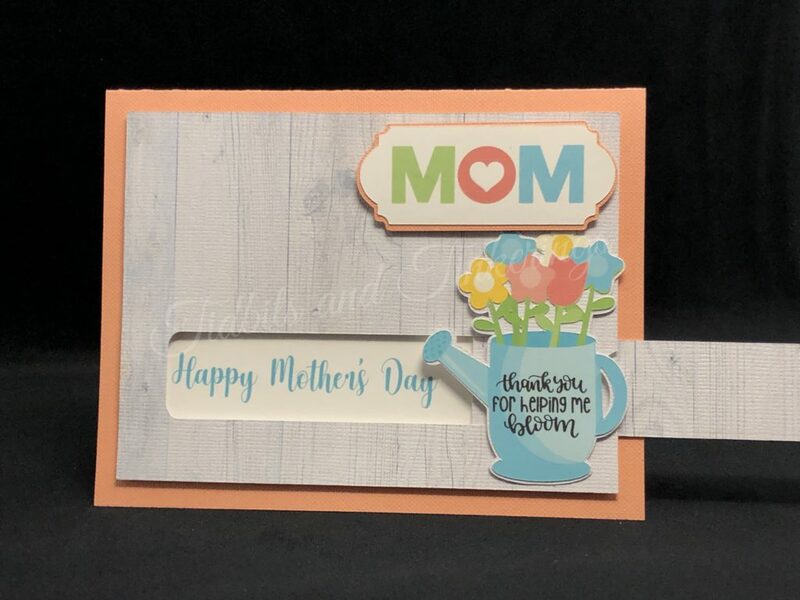 The versatility for this type of card is endless, you just have to make sure to leave enough room for your message to be revealed when your embellishment is slid over. Thank you! It worked for me now. Cricut would not let me save this file, said it was set as private. Thank you. I love the card. Is anyone else having a problem opening this file? Peggy, can you try opening the file again? I created a duplicate and saved it again so it should be working fine now. Your file only shows up as private in Design Space. Hi Cindy. Can you please try again and let me know if it works? Teri Brown: It worked now for me. Thank You!